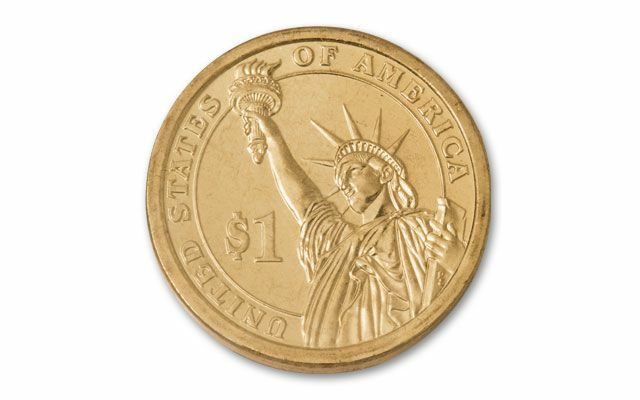 Numismatists have made an amazing discovery about the Presidential Dollar coins. 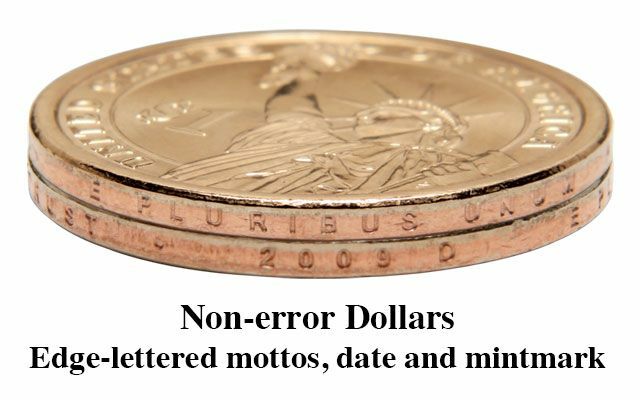 Many of the coins in the series exist in error form, like this 2009–2010 Three Piece Set of Missing Edge Lettering "Golden Dollars." Each coin in the set grades an amazing Mint State-67 (MS67) by Professional Coin Grading Service (PCGS) and is signed by Edmund Moy, 38th Director of the U.S. Mint. 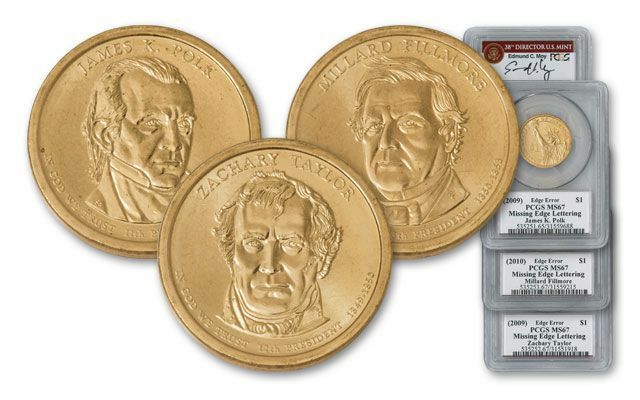 The set also includes fourth coin, a PCGS certified Sacagawea Dollar blank, which is also an error. These blanks were punched from a strip of metal and then milled to upset the rim. These blanks never reached the coining room to be struck into Sacagawea Dollars. 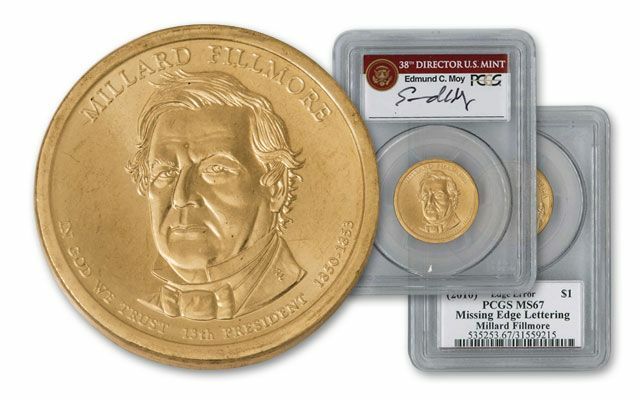 Based on the PCGS population report, only 32 of this set with the Moy signature, could ever be assembled! 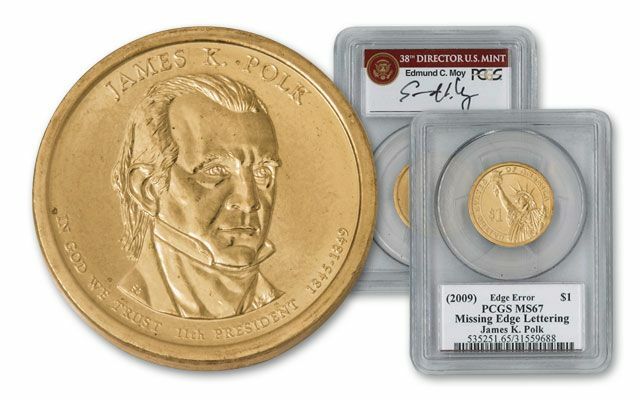 The 32 James Polk Missing Edge Lettering coins in this set are the highest graded and finest known with the Moy signature. Each coin is graded Mint State 67 (MS67) by PCGS, and also includes the hand-signed signature of the 38th Mint Director, Ed Moy, who was in office when the Presidential Dollar series was launched. 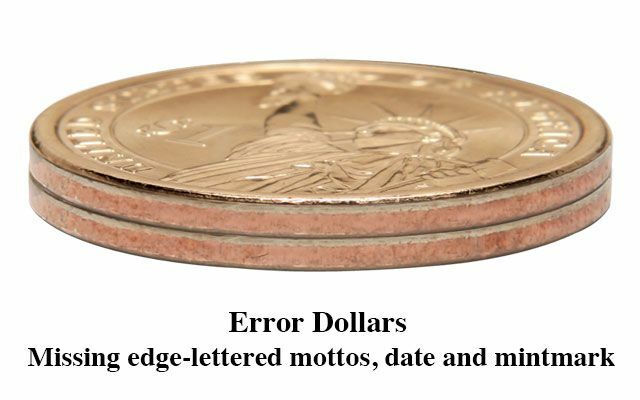 Loaded with 3 consecutive Missing Edge Lettering coins, Superb Gem Mint State 67 grades, a U.S. Mint Dollar blank/planchet Mint Error, and an exclusive signature from Edmund Moy, each set is is a great addition to your collection. Order yours today!